What does an Environmental Engineering Consulting Firm Do? Not every environmental engineering consulting firmoffers the same scope of services, so it’s important to do your homework before selecting one.Most environmental engineering consulting firms work with both government entities and private companies. In the course of their work, they’re likely to conduct scientific studies, make presentations, prepare documentation and formal reports, offer advice and specific recommendations to prevent or remediate problems. An environmental engineering consulting firm can assist you with follow-up, too – everything from system design and project oversight to managing ongoing reporting and preparing compliance submittals. You may also enlist their help in writing grant applications for FEMA or other government-sponsored funding assistance. Everything an environmental engineering consulting firm does is science-based, often involving multiple disciplines, which is why the work can be very complex. Successful results require both technical proficiency and the ability to understand and work well with other scientists, regulatory officials, property owners and others who may be involved or have an interest in the outcomes of your project. So what does the work involve? This comes into play when you need assistance handling – or avoiding — environmental compliance problems. Petroleum fuels and all types of officially classified hazardous chemicals are regulated by a variety of federal, state and local jurisdictions so you often have to report to and satisfy multiple agencies. Your consulting firm can assist you with services such as fuel oil and chemical storage compliance and OSHA compliance. They can also perform groundwater and soil investigations and conduct a Phase 1 environmental site assessment if you’re a lender or potential purchaser of the commercial property. Consulting firms offer a variety of services to assist with everything from planning and design to construction and operation of facilities for municipal and industrial water or wastewater, or storage and handling of hazardous materials or waste. They can work with you on brand new projects or when your existing facilities need an upgrade or expansion. A consulting firm that includes both hydrogeologists and engineers can help you design remedial systems that mitigate the effects of contaminated soil, groundwater and soil vapor, including systems that manage water, wastewater and stormwater. And they can help you negotiate permitting processes and develop a comprehensive regulatory compliance plan. When you face a mind-boggling array of agencies and rules, it can be hard to know where to start or how to comply without becoming overwhelmed with paperwork or distracted from other important work. An environmental engineering consulting firm knows exactly what to do. They can help you organize your facilities and procedures, streamline monitoring and reporting, perhaps even handle the paperwork for you. This is the intersection of mathematical and physical sciences, where theory and practice come together to create structures, industrial facilities and transportation infrastructure that improve our communities. Within the realm of civil engineering, you can look to an environmental engineering consulting firm for help with things like roadway design, construction project oversight and design and installation of storage tank systems. Aside from specific expertise, what should you look for? Your project could touch myriad agencies, from the federal Environmental Protection Agency to the New York State Department of Environmental Conservation (or your state’s equivalent) to health departments and the local fire marshal. Look for an environmental engineering consulting firm that has enough experience working with these people to have developed a mutually respectful relationship. And look for a firm that has a working knowledge of your type of location and issue. They’ll know what’s relevant and what’s superfluous, so your work can move forward efficiently and cost-effectively without overlooking important details. Hiring the right environmental engineering consulting firm will give you a working partner that makes you feel comfortable and confident that you’ll get helpful, cost-effective answers to all your questions and ongoing support, if you need that, too. 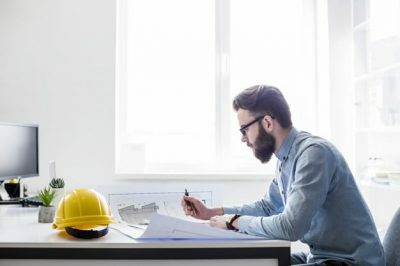 Expense is always a question many people ask so once you do find the right environmental engineering consulting frim then learn more about environmental grants here. For more information or support call us we are here to help you. EE&G Environmental Services, LLC; one of the oldest firms in Florida focused on environmental consulting, engineering, and contracting. The history of EE&G spans decades of change and growth, evolving into their current structure, with the extension of Restoration Services, designed to better serve their clients. EE&G’s business has been solely focused in the environmental field since its inception, and they are currently considered one of the largest and most reputable Florida Headquartered Environmental Engineering, Remediation, Construction and Disaster Response companies. Website Design by: Creative Marketing Concepts Inc.